Last 30 May the BBC World News home page reported that Frontex, the EU border agency, had detected an increase in irregular border crossings from North Africa to Italy between January and April 2014. The story, titled Illegal EU migration surges as thousands flock to Italy, was illustrated by a photo taken a few days earlier during the police clear-out of a makeshift camp in Calais, France. Several NGOs, academics and civil society members expressed concern about the use of the term “illegal” to refer to the individuals attempting to cross into Europe by sea. According to the article, a third of the latest arrivals were Syrians fleeing the war – that is refugees and asylum seekers, not migrants. Other significant numbers were nationals of Afghanistan and Eritrea, traditional countries of origin of refugees and asylum seekers. So, in fact, up to a half of the “illegal migrants” trying to reach Europe were neither migrants nor “illegal”. Additionally, some pointed out, the term “illegal” is inaccurate and criminalising even when referring to economic migrants involved in irregular border crossings. The BBC took these points on board, changing both the text and the title of the article, which now reads “Migration surge hits EU as thousands flock to Italy”. Here is a comparison between the two versions, courtesy of NewsDiffs. The rather alarmist original photo was later changed as well. The article in question is far from being an isolated case, both within and outside the BBC. As of today, both The New York Times and The Telegraph are still running similar piece on a surge in “illegal” migration to the EU. During the past few years, a strong debate about the best terminology to use to accurately and impartially describe people who are in a country without permission has been developing in the United States. Civil society organisations and activists such as Colorlines.com and Jose Antonio Vargas have been campaigning to eliminate the use of the word “illegal” in relation to migrants. In Europe, PICUM, the Platform for International Cooperation on Undocumented Migrants, has started a similar campaign. As language shapes the way human beings understand the world, the words used to refer to people crossing borders do matter. Inaccurate terminology increases confusion and misinformation breeds prejudice. These are a few reasons to #droptheiword. When referred to a person, the term “illegal” is linguistically inaccurate because committing an offence, whether of a criminal or of an administrative nature, does not make the offender “illegal”. In the same way as a driver who does not stop at a red light is not an “illegal” driver, a person who enters or remains in a country in breach of its domestic laws or regulations is not an “illegal” migrant. Since April 2013 the Associated Press Stylebook, a well-reputed style manual for news writing, recommends journalists to use “illegal” only to refer to an action, not to describe a person. USA Today and the Los Angeles Times changed their style accordingly shortly afterwards. Additionally, the term “illegal” is often inaccurate even when referred to the acts of entering or remaining in a country in breach of its domestic laws or regulations. Contemporary migration flows are mixed, meaning that refugees, asylum-seekers and economic migrants move together. When such a heterogeneous group of people crosses a border, the terms “illegal arrivals” or “illegal border crossing” do not take into account that international law allows refugees and asylum-seekers to cross borders without the appropriate documentation or authorisation (article 31, 1951 Refugee Convention). Similarly, “illegal” migration terminology does not take into account that people may cross borders as a result of violence, deception or fraud, including by employers who then exploit them. These are victims of trafficking who should not be penalised for their irregular migration status (Principle 7, Recommended Principles and Guidelines on Human Rights and Human Trafficking). Even with respect to people who migrate for purely economic reasons, the use of “illegal” migration terminology does not reflect the complexities of reality. Many migrants find themselves in and out of a regular migration situation during their stay in the country of destination (for example, they enter their country of destination regularly, but then fall into irregularity when their original authorisation expires). Compliance with migration laws and regulations may also be partial, as a migrant may hold a valid residence permit but work in breach of its conditions. Finally, “illegal” migration terminology fails to recognise the distinction between breaches of criminal law and breaches of administrative law. As highlighted by the UN Special Rapporteur on the human rights of migrants, irregular entry and/or stay in a foreign country are not offences against persons, property or national security and therefore they should be administrative, not criminal, offences. 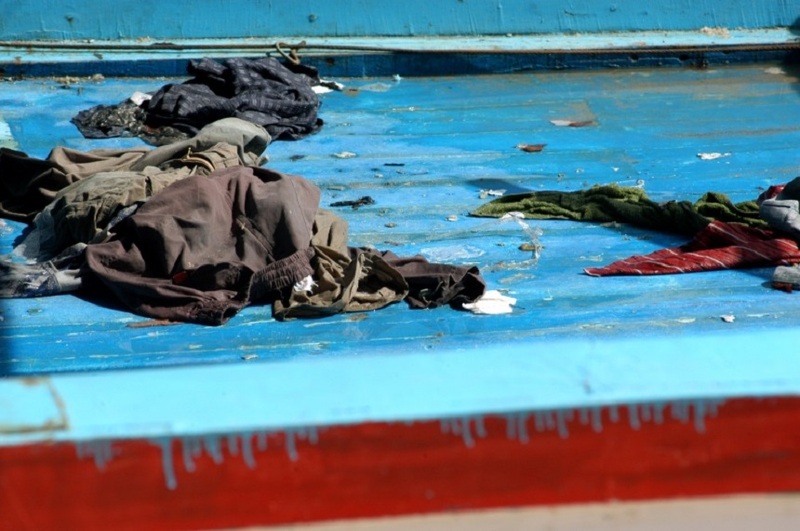 The negative criminal connotations of “illegal” migration terminology are stigmatising and suggest that migrants, asylum-seekers and refugees do not deserve protection under the law or that their human rights have been forfeited. In fact, human rights are universal and not dependent on migration status. In particular, the use of “illegal” migration terminology with respect to the entry or stay in a country prejudges the situation of refugees, asylum-seekers and victims of trafficking and may be detrimental to the official recognition of their status. It also prejudges the situation of individuals with shifting migration status, such as those who migrate or have migrated as children. In the countries where irregular migration is a criminal offence, the use of “illegal” migration terminology breaches the presumption of innocence. Ethical journalism treats all breaches of laws and regulations as “alleged” – irregular migration should not be different. More broadly, “illegal” migration terminology is often used to justify discrimination and contributes to negative public attitudes not only about migration and migrants (regular and irregular), but also about particular ethnic or racial groups and all those perceived to be of foreign origin. In many countries of destination the use of “illegal” migration terminology has political connotations as it is mostly used by advocates of restrictive labour migration and asylum policies. Indeed, there seems to be a correlation between the diffusion of “illegal” migration terminology in common language and the increase of restrictions in migration policies. Although informal and limited, an analysis of migration terminology in books, via GoogleBooks, provides a powerful graphic representation of the relatively recent invention of “Illegal” migration terminology in the English language. A few weeks ago Chris Elliot, the Guardian readers’ editor, responded to complaints by several human rights organisations about the use of the term “illegal immigrant” in one of the paper’s articles, noting that they were making “perfectly reasonable arguments that have been accepted in relation to other terms” and opening a consultation with readers about possible alternative terminology. A solution to the issue, however, cannot be left only to the editorial guidelines of specific media companies. The best guidelines are produced when journalists’ associations, the UN refugee agency (UNHCR), human rights and other civil society organisations work together. When done nationally, this exercise allows to take into account domestic legislation and the nuances of national languages. In Ireland, the National Union of Journalists (NUJ-Ireland) cooperated with UNHCR and the Irish Refugee Council to issue guidelines on reporting on refugees, asylum-seekers and migrants. In Italy, the Journalists’ Association and the National Press Federation, in collaboration with UNHCR and Amnesty International, adopted the Rome Charter, a code of conduct on reporting of asylum and migration issues. Other useful tools include the glossary provided by the Canadian Council for Refugees and the Key Migration Terms explained by the International Organization for Migration. In short, journalists should use irregular or undocumented when talking about migrants and irregular or unauthorised when talking about entry or stay. This is the language used in the International Convention on the Protection of the Rights of All Migrant Workers and Members of Their Families (article 5) and recommended by the UN General Assembly, the Parliamentary Assembly of the Council of Europe and the European Parliament. How to cite this article: Francesca Pizzutelli, “Why ‘illegal immigrant’ is never the right description: Migration terminology for journalists’”, The Rights Angle, https://therightsangle.wordpress.com/, 6 October 2014. The Cooperation agreement on readmission between the government of the Italian Republic and the government of the Arab Republic of Egypt (“Accordo di cooperazione fra il governo della Repubblica Italiana e il governo della Repubblica Araba di Egitto in materia di riammissione”) was signed in Rome on 9 January 2007 and entered into force on 25 April 2008. According to the Italian Ministry of Interior, responding to a Parliamentary question, the agreement was still being applied in August 2013. The Italian and English texts of the agreement were published online by terrelibere.org in September 2013. The Agreement between the Kingdom of Spain and the Kingdom of Morocco on the movement of people, the transit and the readmission of foreigners who have entered illegally entered into force on 21 October 2012. It had been provisionally applied since 13 February 1992, date of its signature. Acuerdo entre el Reino de España y el Reino de Marruecos relativo a la circulación de personas, el tránsito y la readmisión de extranjeros entrados ilegalmente, «BOE» núm. 100, de 25 de abril de 1992, p13969-13970 (BOE-A-1992-8976). You will find below an unofficial English version. Download it in PDF format here. At the formal request of the border authorities of the requesting State, border authorities of the requested State shall readmit in its territory the third-country nationals who have illegally entered the territory of the requesting State from the requested State. The readmission will be effected if it is proven, by any means, that the foreigners whose readmission is requested actually come from the territory of the requested State. The application for readmission shall be submitted within ten days after the illegal entry into the territory of the requested State [sic]. It shall contain all available data relating to the identity, the personal documents that the foreigner may possess and the conditions of his/her illegal entry into the territory of the requesting State, as well as any other information available. When the readmission is accepted, it is documented by the issuance by the border authorities of the requested State of a certificate or any other document stating the identity and, where appropriate, the documents of the foreigner in question. d ) For those to whom the requesting State has recognized refugee status according to the Geneva Convention of 28th July 1951. The requesting State shall readmit in its territory those foreigners whose readmission it requested and obtained by the requested State when it results from checks after the expulsion that they were, at the time of entry into the territory of the requested State, in one of the situations described in Article 3. The requested State shall ensure that the foreigners readmitted are sent as soon as possible to their State of origin or the State where they started their journey, to the extent that they are not entitled to remain in the territory of the requested State. Each of the Contracting Parties, upon request of the other Party, may accept the entry and transit through its territory of nationals of third countries for expulsion, where the continuation of the journey and the admission in the State of destination are fully ensured. Each of the Contracting Parties, upon request of the other Party, may accept also the transit for expulsion of nationals of third countries through the international areas of designated airports, in the same conditions as in the previous paragraph. Transit by air may be made, where appropriate, in the custody of the police authorities of the requesting State. The requesting State shall immediately readmit into its territory those foreigners whose expulsion is in progress when the State of destination refuses their entry. The request of transit for expulsion of third country nationals will be processed directly between the authorities designated for such purposes by the Ministries of Interior of both Parties. It shall contain the information concerning the identity, the personal documents that the foreigner may possess, their stay in the territory of the requesting State and the conditions of their transit through the territory of the requested State. e) When the transit is requested for the expulsion of nationals of Maghreb countries members of the UMA [Union du Maghreb Arabe, Arab Maghreb Union]. This Agreement shall be without prejudice to the obligations for the readmission of third country nationals resulting from the application of the provisions of other bilateral or multilateral Agreements. The costs of transport unto the entry in the requested State of the persons whose readmission is requested. The costs of transport unto the destination State of the persons whose transit is authorised. The requesting State shall also bear the costs of return of the person not admitted. A Spanish-Moroccan Joint Committee is hereby established, under the authority of the Ministers of Interior, which shall resolve all contentious cases that may arise from the implementation of this Agreement and monitor the implementation of its provisions. The Joint Committee shall review the procedures and criteria for compensation of the financial imbalances resulting from the readmission of the expelled foreigners. This Committee will organize mutual assistance in the development of border control measures, especially in regard to equipment and training of border control personnel. 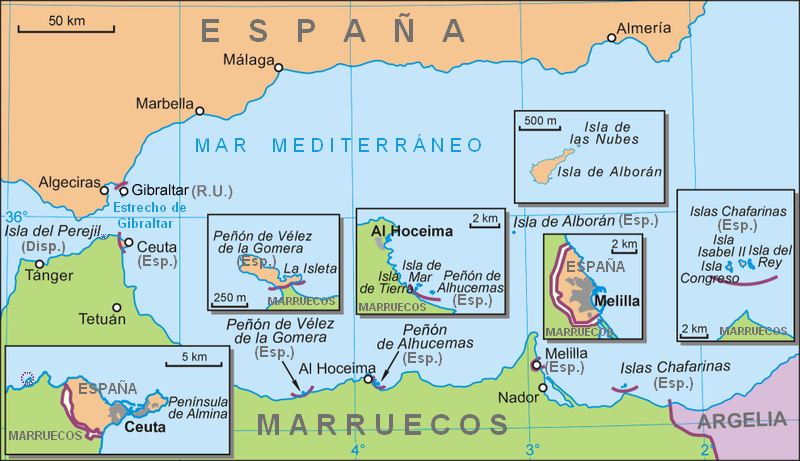 In accordance with Spanish legislation and international agreements on free movement of persons of which Spain is a Party, Moroccan citizens legally residing in the territory of Member States of the European Community may, without a visa, access and circulate freely through the Spanish territory for a maximum period of three months. The Spanish and Moroccan authorities shall cooperate in the appropriate framework in the organization of migration flows between the two countries, to the extent that they may be necessary, always guaranteeing the social rights of the workers concerned. The Ministries of the Interior of the Contracting Parties may establish and, if necessary, modify the list of border posts in which readmission and entry for transit of nationals of third countries can take place, as well as the list of airports that may be used for the transit of expelled foreigners in their journey to the State of destination. The Contracting Parties shall notify each other of such lists and any amendments through diplomatic channels. In the framework of the Joint Committee established under Article 11, the Contracting Parties may propose all modifications and improvements deemed necessary for a better implementation of this Agreement and to safeguard the national interests of the Contracting Parties. This Agreement shall enter into force thirty days after both Contracting Parties have notified each other of the fulfilment of constitutional requirements for its ratification. The Agreement shall be applied provisionally from the date of signature. This Agreement shall be in force for three years, renewable by tacit agreement for periods of equal duration. This Agreement may be denounced at any time by either Party. Denunciation shall take effect three months after its notification to the other Party. Done at Madrid, on 13th February 1992, in two originals in Spanish and Arabic, both texts being equally authentic. This Agreement shall be provisionally applied from 13th February 1992, date of its signature, as provided in Article 16. Made public for general knowledge. Madrid, 17th March 1992. The Technical Secretary-General, Aurelio Pérez Giralda.